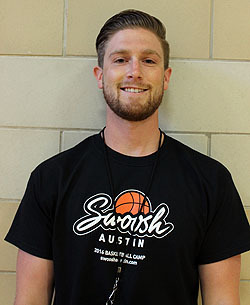 Matt Calabro is the Founder and Camp Director of Swoosh and brings over 15 years of experience teaching and coaching kids in the fundamentals of basketball. Matt was Varsity Captain of his Carmel High School basketball team (Carmel, NY) in 2003. That year, Carmel reached the sectional semi-finals, and was ranked as high as 7th in New York State at 20-3. After high school, Matt played basketball for Ithaca College (Ithaca, NY). While at Ithaca, Matt was an Assistant Coach for the JV Men's basketball team as well as a Graduate Assistant Coach for Ithaca's varsity team. While at Ithaca, Matt earned a dual Masters in Health and Physical Education. 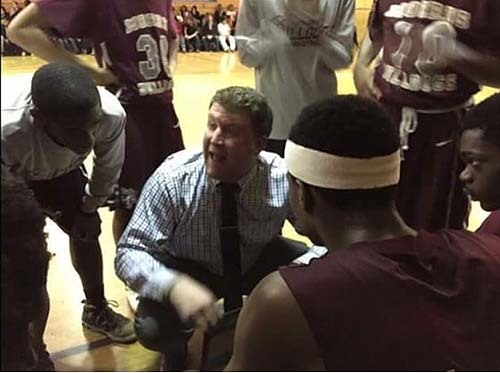 After college, Matt began teaching in New York City's Bronx at Leadership Institute High School, where he developed the school's first basketball program. Matt then moved onto Morris High School, the first public school in the Bronx, where their once-proud basketball program was struggling. Since taking over in 2010, his Morris Bulldogs have made the playoffs every season, winning two league championships, amassing a record of 94-30 in six seasons, reaching the Elite 8 once and the Sweet 16 six consecutive seasons in the PSAL Citywide Playoffs (the largest public school basketball league in America). During his time in college and in his professional career, Matt has continually coached elementary-aged kids in basketball at camps, clinics and classes put on by Dribbl, one of the largest youth basketball programs in New York. Presently, in addition to coaching the Morris Bulldogs, Matt is a Physical Education and Health Educator at Morris High School and recently completed his sixth year coaching the Bulldogs. Matt is extremely excited to bring his team of coaches back to Austin for camp this summer! John is a former 1,000 point scorer at the high school and collegiate levels. He began his basketball playing career at Valhalla High School (Valhalla, NY), where he was named an All-County player. After graduation, John played college ball at Manhattanville College (Purchase, NY), where he earned All-Conference recognition. It was there that John captained their 2007 team to its first Skyline Conference Championship, NCAA Division III tournament birth, and best record in school history, all while being named the tournament's Most Valuable Player. 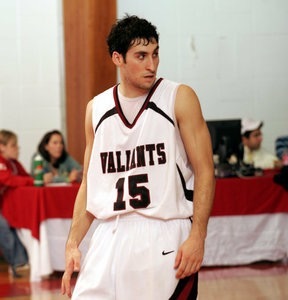 John was also the recipient of the prestigious 2006 Manhattanville Athletics Humanitarian Award. After college, John served as a Graduate Assistant at Manhattanville College, focusing on recruiting, scouting, and player development. In 2008, he earned his Master's Degree in Physical Education. John then spent the next 3 years coaching the Valhalla High School JV basketball team, followed by 3 years coaching their varsity team. Presently, John is a Physical Education teacher and the Athletic Director at the German International School of New York. He coaches both the Varsity and JV boys basketball teams and is building an interscholastic sports program for the school. 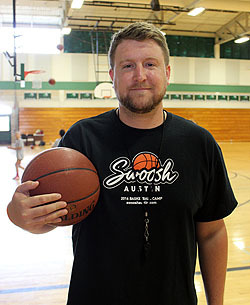 Mike brings a wealth of experience to Swoosh Austin. A star at Carmel High School (Carmel, NY), he led the best team in the school's history to a 20-3 record. Starting on the varsity team and earning All-League all four years, Mike is the school's all-time leading scorer with 1,545 points. Mike was the runner-up Sectional Player of the year in 2003, and won the Slam Dunk Competition that same year. In 2004, Mike attended Winchendon Prep School in Massachusetts, the #2 basketball prep school in the country, where he played with, and against, some of the best competitors in the country. 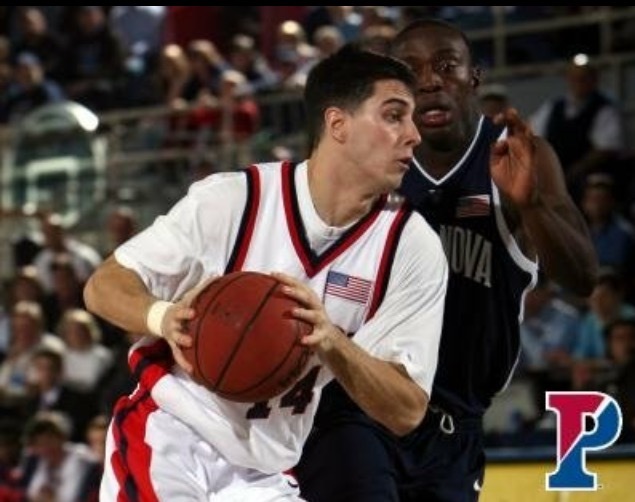 After high school, Mike attended the prestigious University of Pennsylvania, where his team won the Ivy League Championship three out of four years - making three NCAA Tournament appearances in 2005, 2006 and 2007. Currently, Mike lives in White Plains, NY, where he organizes basketball classes and runs training programs for kids and adults ages 8-20. Casey Calabro began his basketball career as the Captain of his Carmel High School (Carmel, NY) Varsity basketball team. After high school, Casey played college basketball at Roger Williams University (Bristol, RI) where he graduated with a Finance degree in 2013. Casey has 10 years of experience coaching at basketball and sports camps, most recently at Camp Wildwood in Bridgton, Maine. It is his love for basketball, sports and working with kids that helps to enhance the Swoosh Austin camp experience. Casey currently serves as an Assistant Coach to Matt Calabro for the Morris High School Bulldogs in New York City.